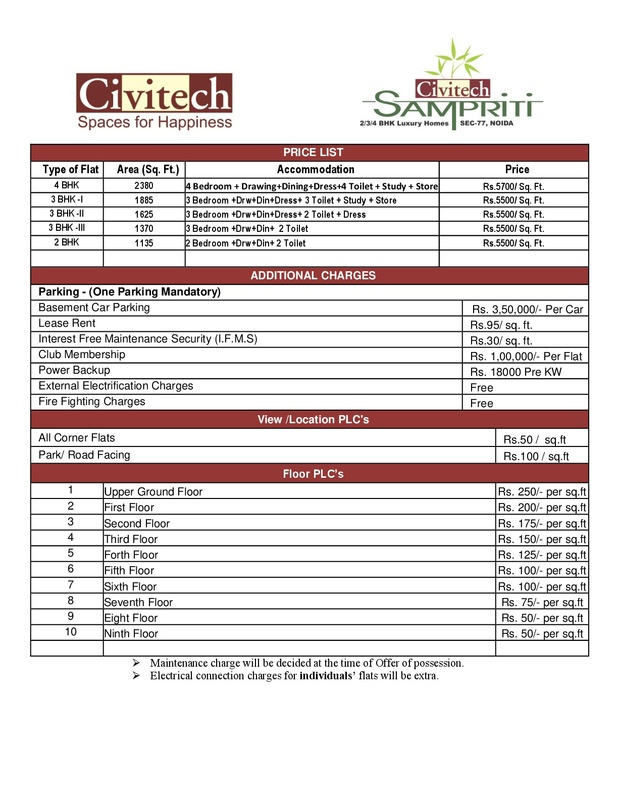 Civitech Sampriti a new residential project launched by Civitech group situated in the heart of Noida City at Sector 77 is now ready to Possession. 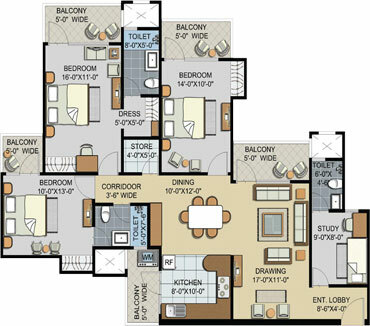 Civitech Sampriti is offering 8 towers of 2, 3, 4 BHK Apartment in Central Noida size ranging from 1135 Sq. 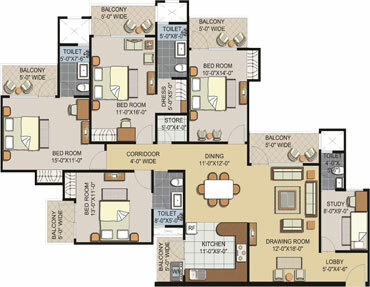 Ft. to 2380 Sq. Ft. This Project has 2-side open North-East facing corner plot with 45 meters wide roads. 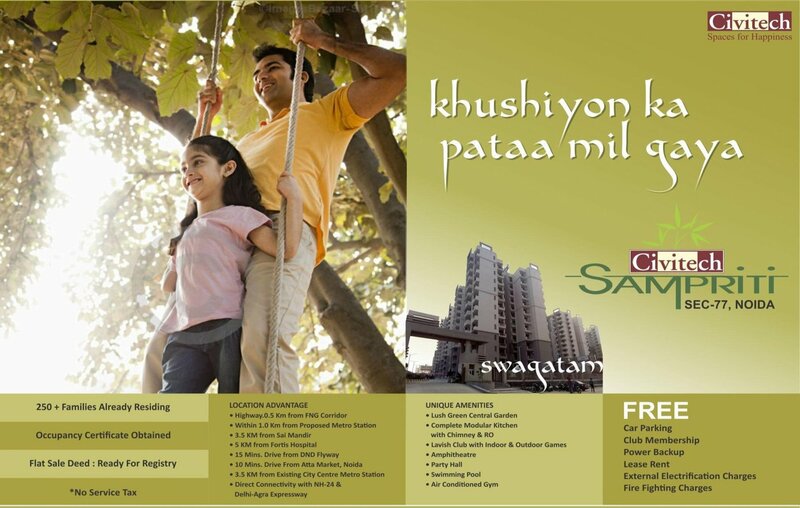 The splendid location of Civitech Sampriti in Sector 77 Noida is next to fully developed and well-populated sector 50, 51 Noida. Sector 77 gives an ease of connectivity to Noida Expressway and proposed metro station at Sector 78, Noida. Civitech Sampriti provides a comprehensive lifestyle for the urban living as it is well connected to hospitals, schools, entertainment & leisure spots. 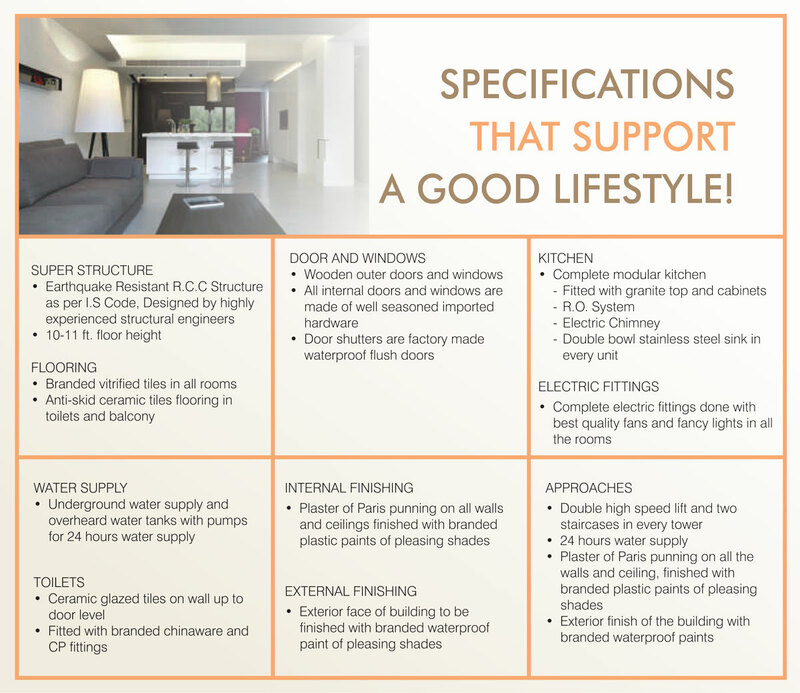 The apartments here conform to Vaastu standards so that your body and mind can benefit from the positive energies. 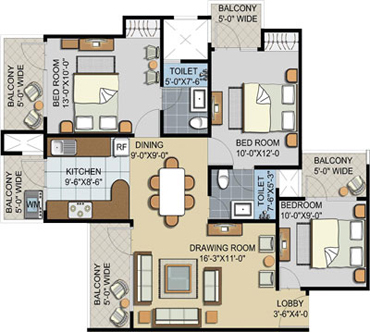 All rooms here, are spacious and airy with balconies. 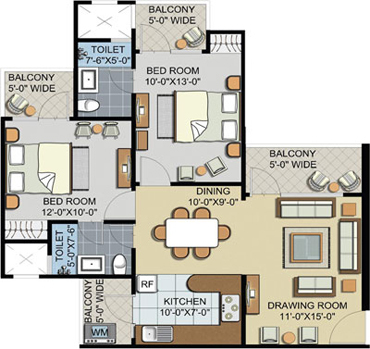 The well laid out living & dining room with suitably placed kitchen; all go in to the making of a comfortable unit, where you enjoy your life with pleasure & peace. 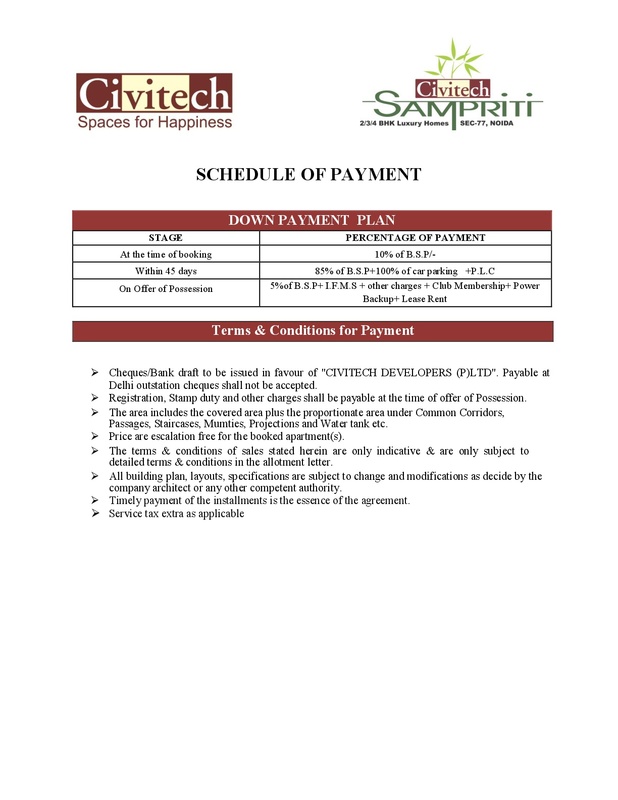 Civitech Sampriti is another one ready to move projects in sector 77 Noida by Civitech developers. 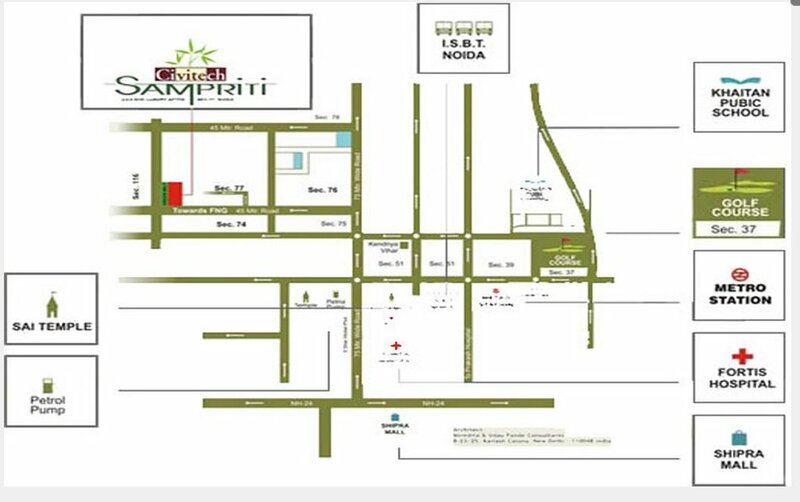 Civitech Sampriti Noida is well connected to super specialty hospital Fortis (15 minutes drive), Noida City Centre Metro Station (11 minutes drive), Sector 50 (10 minutes drive), Sector 18 Market (20 minutes drive), well connected to Greater Noida (25 minutes drive), NH 24 Ghaziabad (20 minutes drive). Direct connectivity with NH-24 & Delhi-Agra Express Highway. 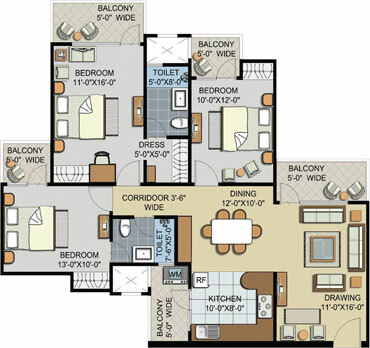 2 Bed + 2 Toilet - Saleable Area: 1135 Sq. Ft.
3 Bed + 2 Toilet - Saleable Area: 1370 Sq. Ft.
3 Bed + 2 Toilet - Saleable Area: 1625 Sq. Ft.
3 Bed + 3 Toilet + STUDY - Saleable Area: 1885 Sq. Ft.
4 Bed + 4 Toilet - Saleable Area: 2380 Sq. Ft.